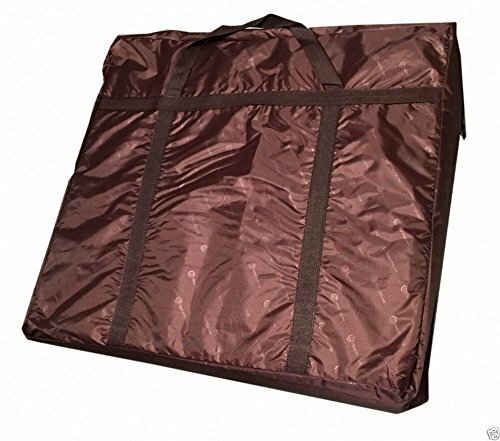 It could be FIRM and it is necessary for this function. 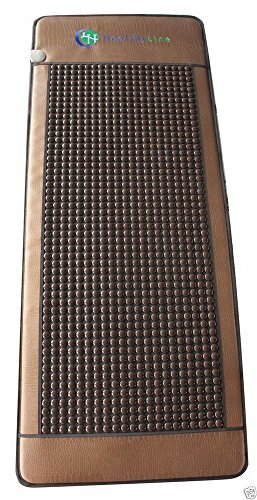 Do not consider it as a soft substitute of an orthopedic mattress. 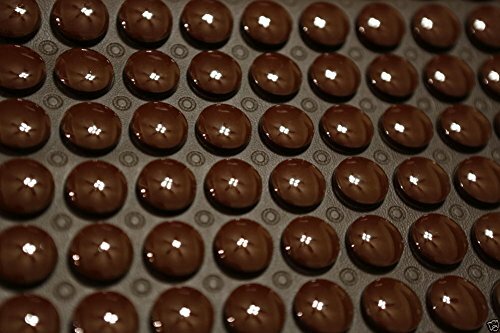 It is medical device filled with gemstones. 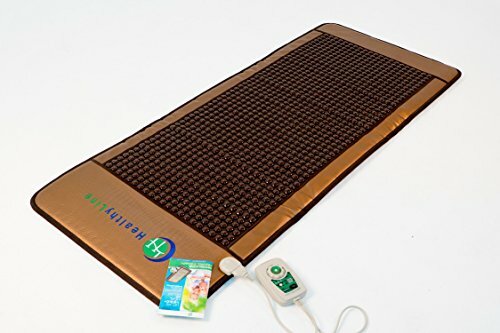 DISCOVER THE UNIQUE HEALTH BENEFITS OF HEAT THERAPY ON YOUR BODY! 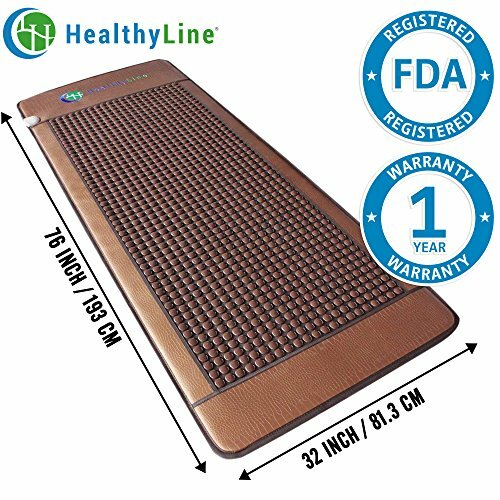 - If you are looking for a healthy and effective solution for your chronic back pain, arthritis or depression, then the HealthyLine professional natural stone heating infrared mat is your prime choice. 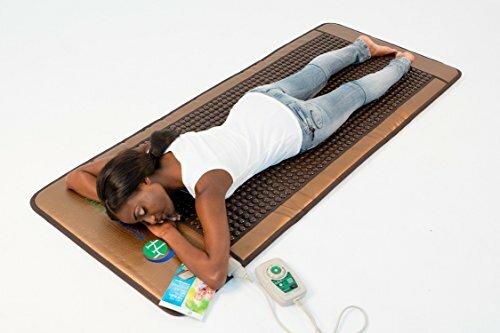 Designed with your comfort and pain relief in mind, this premium heating therapy Pad is not only comfortable, but also extremely beneficial for both your body and spirit. 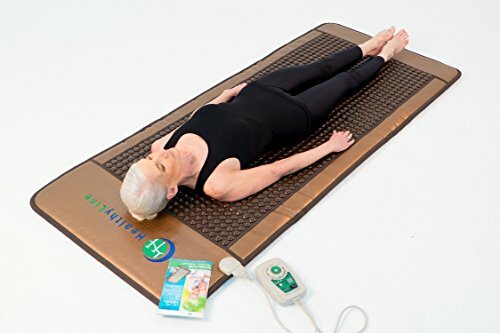 FAR INFRARED RAYS HEALTH BENEFITS - FIR is able to penetrate into the outermost regions of the tissues, muscles and bones. 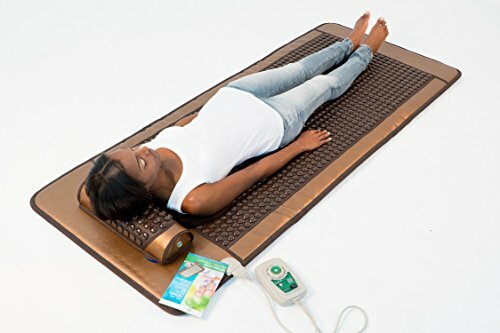 An hour of FAR INFRARED therapy can burn up to 900 calories, showing real results in breaking down trapped fat, waste, cellulite and other forms of toxic substances. NES PROPERTIES - Healthy benefits of Tourmaline: helps detoxification, supports fat loss, improves blood circulation, supports liver and kidneys & promotes healthy mood. 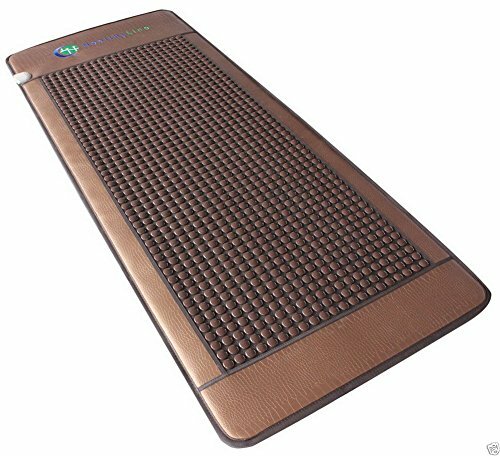 NEGATIVE IONS HEALTH BENEFITS - Once negative ions reach the cells in your bloodstream, produce effective biochemical reactions helping to relieve your daily stress and alleviating your mood and depression, boosting your daytime energy, efficiency, immune system, and increasing your defense against infection or diseases.